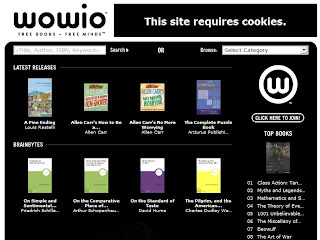 WOWIO is a new kind of online bookstore that enables readers to download E-books for free. You can register with it for free, after that you can browse books and download them if you found something interesting, but it limited download times a day. The most interesting thing for me is I found The Art of War ( Sun Tzu and William Lidwell ) that is a Chinese ancient military book, it influences a lot of military leaders.